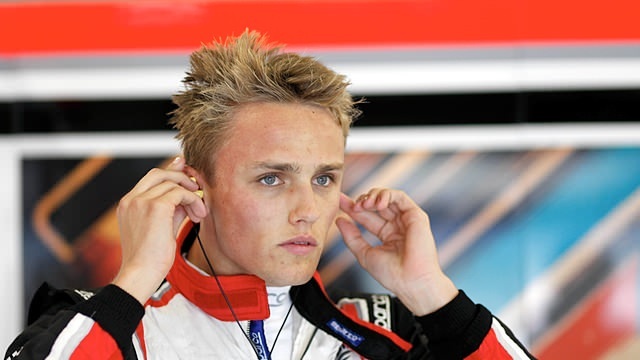 This is F1Minute - Max Chilton signed to Marussia as 2012 reserve driver. The Marussia team have signed Max Chilton to their driver lineup, bringing the young Brit on board as reserve driver for the rest of the current season. Chilton impressed his new bosses at the Young Driver Test held at Silverstone, and will join the Marussia squad in Japan after his current work in the GP2 series comes to an end. Max is currently sitting fifth in the GP2 championship, having won a race at the Hungaroring earlier in the year. Team Principal at Marussia, John Booth, spoke of his new signing: “An important part of the education of any young driver looking to progress to the highest level of motorsport is spending time working closely with the engineering community and other, more experienced drivers.” He also added it is good experience of all the demands placed on a driver, including marketing activities.